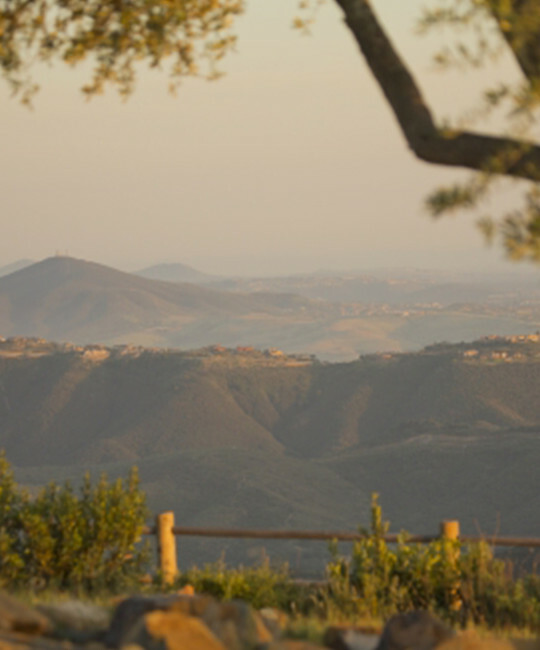 With over 18 miles of hiking trails, 1,000 acres of dedicated parkland, and a pleasant Mediterranean climate, San Elijo Hills is truly a paradise for hikers and outdoor lovers. Residents and visitors alike enjoy hikes, jogs, and leisurely walks in the hills on which the community is built. Parks near you in San Elijo Hills and the surrounding area offer scenic views as well as areas for sports and recreation. 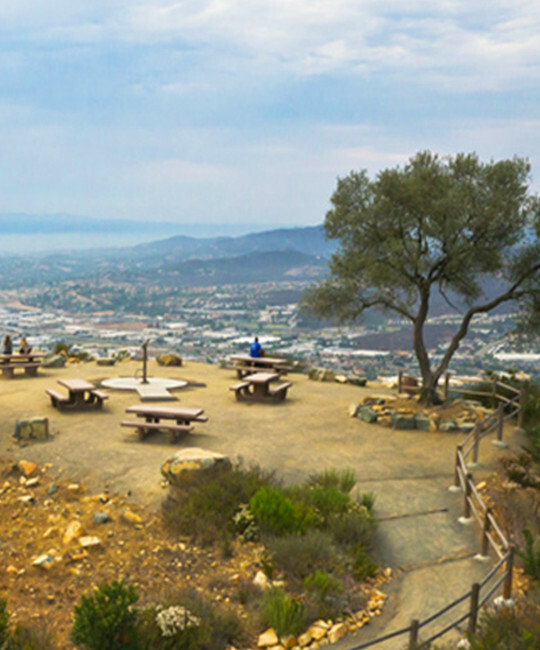 The 12 different hiking trails that run through and around San Elijo Hills span a total of 18 miles and offer scenic views of the Pacific Ocean, Lake San Marcos, and surrounding areas of North San Diego County. 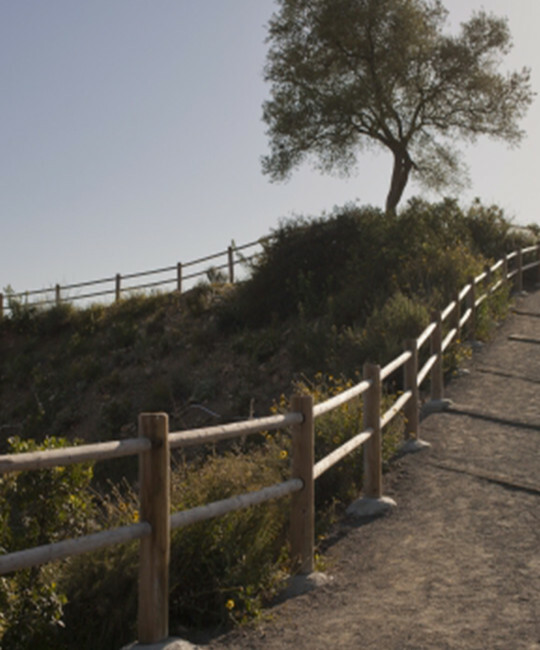 Whether you want to take a leisurely stroll or an arduous trek, San Elijo Hills offer a variety of trails for hikers, bikers, runners, and horseback riders. This gentle, soft-surfaced trail runs along Copper Creek and is perfect for viewing sycamore trees and riparian vegetation that provides habitat for local wildlife. This moderately difficult hike is nearly a half-mile in length provides panoramic views of the coast accessed by a 60-foot vertical climb. For those who want to see it all, this steep climb to the top of Double Peak (1640 feet above sea level) rewards those who complete it with unmatched panoramic views of the surrounding area. A moderately difficult hike that runs for a half-mile along the northeastern edge of San Elijo Hills, Lake View Trails offers views of South Lake and beyond. Quarry Trail runs for just over ¾ of a mile that runs parallel to a SDG&E’s service road and connects the neighborhoods of Cedar Crossing and Sagewood. Lake San Marcos trail runs for ¾ of a mile features vertical climbs and views of Lake San Marcos. Canyon Trail is a an easy-to-moderate trail that follows Canyon Creek for almost a half-mile and is great for observing local plants and wildlife. This difficult, soft-surface trail runs for just more than a mile, and offers great views. This trail winds along the top of Cerro de Las Posas/Double Peak Ridgeline and offers expansive views to the north and south. San Elijo Road is paralleled for two miles by both hard and soft-surfaced trails that offer an easy and convenient way to walk throughout the community. This moderately difficult trail is accessed through the community park and links with the trail network along the Cerro de las Posas/ Double Peak Ridgeline. The gently sloping Garden Trail is ⅔ of a mile long and connects the neighborhoods and park along Questhaven Road with the Calistoga neighborhood. As with hiking trails in any area, show courtesy and respect for the environment, local residents, and other visitors when enjoying the trails of San Elijo Hills. Smoking, lighting, fires, and littering are strictly prohibited. Stay on designated trails and obey all rules and guidelines posted on signs while enjoying the natural beauty of the area. 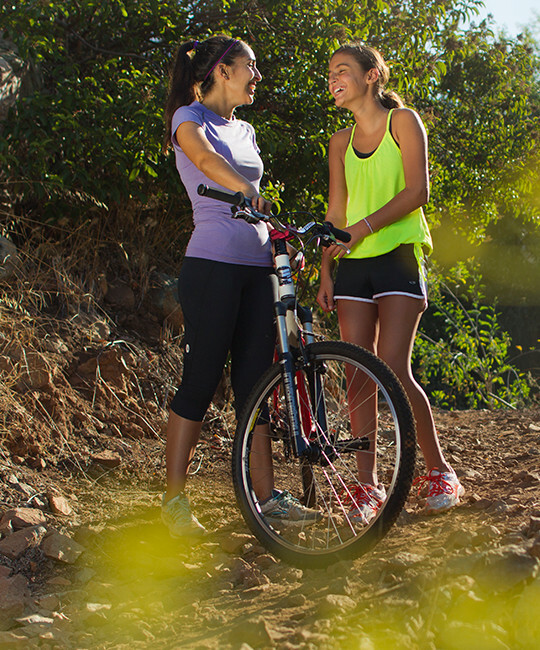 Make San Elijo Hills’ parks and trails your new backyard.